Until November 24th, 2014, Mobilink is providing the best 3G packages on prepaid SIMs which can be easily activated on any handset that supports 3G. Package number 4 to 7 are extremely good in case one needs to make heavy 3G data consumption and prices are very affordable. Streaming the videos and listening to the music was never that easy on smartphones, until 3G arrived in Pakistan or unless you have 24/7 WiFi connectivity. The current prepaid 3G data bundles offered by Mobilink will give tough time to PTCL which is considered to be the internet connectivity back bone in Pakistan. I have personally started using Mobilink’s 3G instead of PTCL at my working environment. I will continue to use Mobilink’s 3G services since I am getting pretty good downloading and uploading speed at a very good latency. I would also like to mention that download / upload speeds of Mobilink 3G remain good during the daytime, however due to traffic surge and increase in number of users, download / upload speeds decline in evening and night. 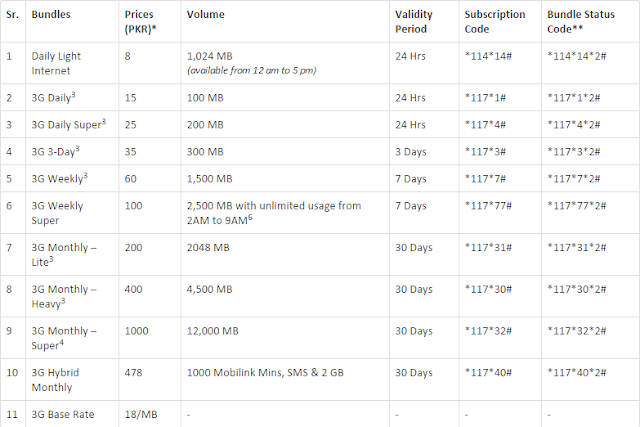 Mobilink has dropped its introductory packages and decreased the data volume thus increasing the price to many folds. Following are the 3G Data Bundles offered by Mobilink, you can easily activate them using the 3G subscription codes and if you need to know the current data consumption station, you can dial and check with Bundle Status codes mentioned below. How To Check 3G Coverage Area on Mobilink for Free? Dial *443# and select the “3G Coverage” option to see whether you are present inside the 3G coverage area. Mobilink’s 3G data service is currently available in Islamabad, Rawalpindi, Karachi, Lahore, Multan, Faisalabad, Quetta, Peshawar, Gujranwala, Sialkot, Hyderabad, Abbottabad (only selected areas on Abbottabad), Gujrat, Sheikhupura, Sahiwal & Sargodha. Which are the 3G supported Smart Phones? How To Activate 3G on Mobilink SIM? To activate 3G service on your Mobilink SIM, dial *443# and select the “3G activation” option. Alternatively, send SUB to 7003 for 3G activation. No charges apply. Please note that you need to have 3G supported handset in order to use 3G data bundles. Activation is free of cost. 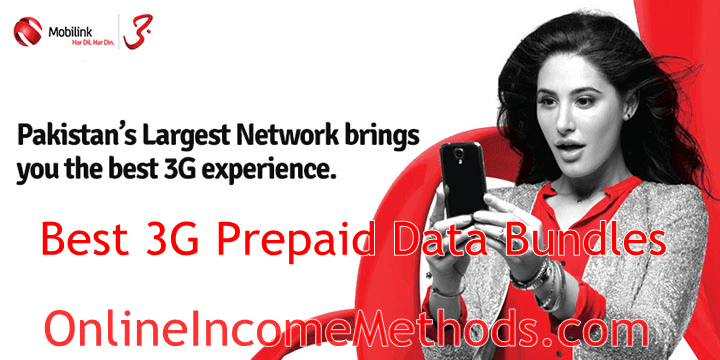 How To Receive 3G Settings on Mobilink SIM? Dial *443# and select the “3G Settings” option. How To Activate 3G + Video Calls on Mobilink? To activate Mobilink 3G & Video calling on your prepaid Mobilink SIM, you will need to send SUB on 7003. 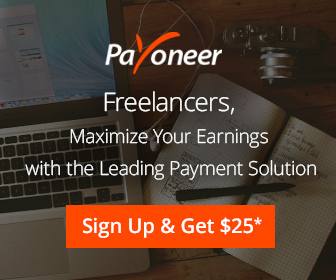 It will not cost you anything, since activation is FREE. You will be required to restart (Turn it OFF and then back ON) your smartphone or any 3G enabled device after activating 3G and receiving the 3G settings. 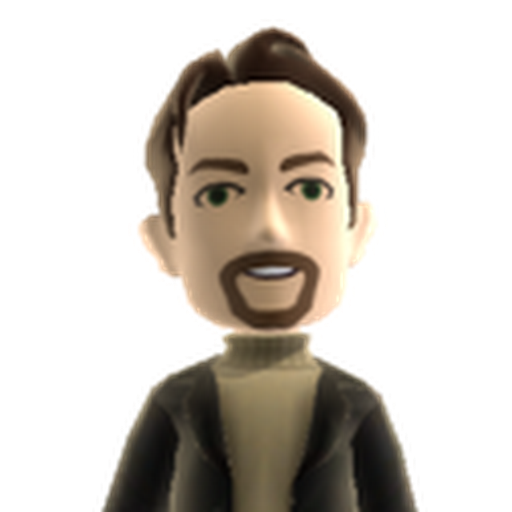 ← How To Make Money With HubPages by Writing Articles?